Wild in the Sacc, Pale Ale brewed with a wild yeast strain at the BCT Brewing Project. 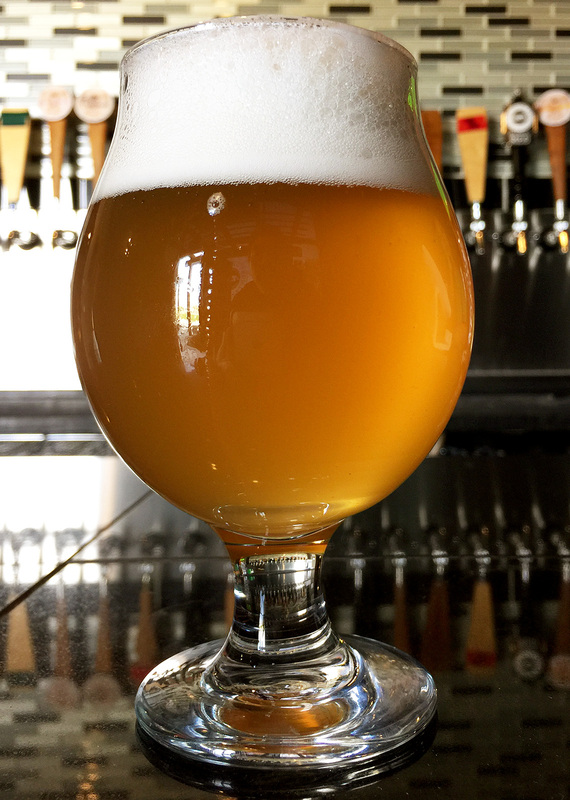 Wild in the Sacc is a very clean and crisp Pale Ale slightly fruity with citrus characters, peachy chardonnay aromas, and hints of an earthy “farmhouse” character. It's Fermented with a propriety wild Saccharomyces yeast sourced in Southern California. This beer is designed to be a clean backbone to showcase the nuanced characters of a wild Saccharomyces Cerevisiae yeast harvested from the skin of a tangerine in the yard of Beancurdturtle Brewing. Click here for the whole incredibly scintillating story.